LazyDodo (LazyDodo) updated the diff for D4709: Add backdrop callback..
LazyDodo (LazyDodo) added a comment to rB0d3501725c97: Fix build with QEX disabled. Not until these features scheduled to land in master. For all i know this branch will go 'nah we'll use something else instead of QEX` next week and i'll have to build that, and then they change their mind again and i have to build that. Branches are highly experimental and don't have the same support from the platform teams that master has. So unless these features enter codereview and it seems likely that it will land in master requiring these libraries pre-build libs will not be made available. For master on windows i pre-build all libraries for you (you grab them from svn), for this specific branch additional libraries are required which are not available in SVN (and won't be until they are required for master) you either have to turn this functionality off, or build the required libraries your self using the build script in build_files\build_environment\windows\build_deps.cmd however at this point in time there is no support on using this script, if it works for you great! if it doesn't bummer, but i lack the time to help individual users with it. LazyDodo (LazyDodo) committed rB33df4b78d0a4: make.bat: remove --expand-tabs from "make format" on windows. (authored by LazyDodo (LazyDodo)). Steven Munn (Stevo312) awarded D4709: Add backdrop callback. a Love token. LazyDodo (LazyDodo) updated the summary of D4709: Add backdrop callback..
LazyDodo (LazyDodo) created D4709: Add backdrop callback..
LazyDodo (LazyDodo) added a comment to D4704: Linking Embree Libraries Accordingly. LazyDodo (LazyDodo) updated subscribers of D4704: Linking Embree Libraries Accordingly. LazyDodo (LazyDodo) committed rBb46245470f79: cmake: Fix python linker issues on windows. (authored by LazyDodo (LazyDodo)). LazyDodo (LazyDodo) added a comment to T63681: Report a Bug popup. Just in case anyone goes working on this, the bug is that the popup is going out of screen-bounds, the long url it is trying to display is actually what it should be doing. LazyDodo (LazyDodo) committed rB12aa9b21087f: Fix T63678 Link error of tests with MSVC. (authored by LazyDodo (LazyDodo)). LazyDodo (LazyDodo) closed T63678: We failed to build Blender on x86 due to error LNK2005: _log2 already defined in libucrt.lib with MSVC. as Resolved by committing rB12aa9b21087f: Fix T63678 Link error of tests with MSVC..
LazyDodo (LazyDodo) claimed T63678: We failed to build Blender on x86 due to error LNK2005: _log2 already defined in libucrt.lib with MSVC. .
LazyDodo (LazyDodo) added a comment to rBfc32f98bbc2f: Initial support of `make format` for Windows. LazyDodo (LazyDodo) added a comment to D4684: CMake: initial replacement of sorted libs. LazyDodo (LazyDodo) committed rC58e374763b00: cmake: fix linking errors on windows. (authored by LazyDodo (LazyDodo)). cmake: fix linking errors on windows. LazyDodo (LazyDodo) closed T63535: error as Invalid. Brecht Van Lommel (brecht) awarded rBf01c71e1d99d: Fix: Build issue with draco. a Like token. LazyDodo (LazyDodo) added inline comments to rBf01c71e1d99d: Fix: Build issue with draco..
LazyDodo (LazyDodo) committed rB73e06ef25650: Fix: Build issue with draco on mac. (authored by LazyDodo (LazyDodo)). LazyDodo (LazyDodo) accepted rB4bad4bfc6ae5: glTF: add Draco shared library for mesh compression..
LazyDodo (LazyDodo) committed rBf01c71e1d99d: Fix: Build issue with draco. (authored by LazyDodo (LazyDodo)). LazyDodo (LazyDodo) closed T63491: Compile error with VC2019 in \extern\audaspace\include\file\FileManager.h as Resolved. Fixed, but for future reference, build errors do not go on the bug tracker. LazyDodo (LazyDodo) committed rB9cdc3483ca78: Fix: Build error with msvc2019. (authored by LazyDodo (LazyDodo)). LazyDodo (LazyDodo) raised a concern with rB4bad4bfc6ae5: glTF: add Draco shared library for mesh compression..
Heard people complain on irc that linux is broken as well, seems like the same issue. LazyDodo (LazyDodo) added a comment to T63344: Breaked topology in Sculpting new project . LazyDodo (LazyDodo) updated the task description for T63441: Weird cycles render glitch. LazyDodo (LazyDodo) committed rB10f724cec5e3: Fix: Build error with msvc. (authored by LazyDodo (LazyDodo)). LazyDodo (LazyDodo) closed T63382: fail to build 2.7 branch , C2220 compile error (warning C4102 "bmesh_mesh.c") as Invalid. LazyDodo (LazyDodo) added a comment to T54807: Blender performance under Linux is flakey ( on my system? ). I'd rather we repro the issue on linux, and run it through a profiler to see whats going on rather than randomly lifting code from other projects based on a hunch. LazyDodo (LazyDodo) assigned T62653: Crashing with animation rendering and sound to Joerg Mueller (nexyon). Can still confirm on windows, different trace than @Antonio Vazquez (antoniov) but still coming out of audaspace though, @Joerg Mueller (nexyon) mind taking a peek here? LazyDodo (LazyDodo) raised the priority of T63377: "Principled Volume" node not working anymore in EEVEE. from Confirmed, Medium to Needs Triage by Developer. LazyDodo (LazyDodo) added a comment to D3852: Mantaflow [Part 3]: Customized UI for Manta fluids. @Sebastián Barschkis (sebbas), How far off is your branch from this patch set? applying 10 patches may be pushing it, but if all the same stuff is in the branch that'll make testing a little easier. LazyDodo (LazyDodo) closed T63366: Animated textures don't work in Game Engine as Archived. The game engine has been removed in the next blender version, so there is nothing to be done here. LazyDodo (LazyDodo) closed T63340: Feature request: Please inform all blender developers about the Real-Time Ray as Invalid. LazyDodo (LazyDodo) created T63337: Blender light theme has poor contrast for modifiers icons. LazyDodo (LazyDodo) triaged T63318: Doesn't work in the April 5th release of Blender as Needs Information from User priority. ah "it" won't load, you're gonna have to be more specific than this. LazyDodo (LazyDodo) added a comment to T55589: Microsoft Surface pens does not send first events when moves. https://builder.blender.org has a nightly 2.79 build. LazyDodo (LazyDodo) added a comment to T63263: Box selecting ".." in the file browser makes "Parent Directory" the default action..
guess suggesting using the OS dialog is heresy? Yeah sure they don't have it anymore, on the other hand you can easily navigate to any part including the parent folder of the path by clicking on it. 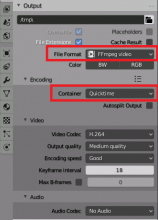 LazyDodo (LazyDodo) added a comment to T62720: Importing Alembic Mesh Causes Blender To Crash As Well As Alembic Sequences/Playback of Alembic sequences does not work. LazyDodo (LazyDodo) updated subscribers of D4644: fix denoiser negative index crash in CPU kernels. LazyDodo (LazyDodo) created D4644: fix denoiser negative index crash in CPU kernels. LazyDodo (LazyDodo) triaged T63279: Blender keeps crashing whenever my PenTablet software is installed! as Needs Information from User priority. please run with blender_debug_log.cmd and attach the produced files to this ticket. 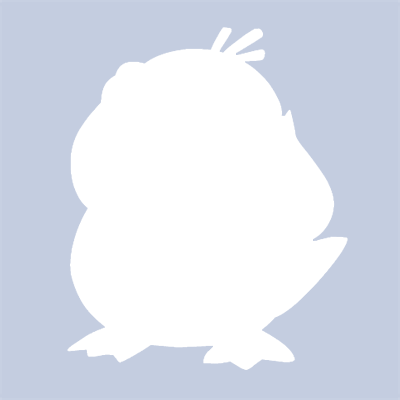 LazyDodo (LazyDodo) added a comment to T63253: AVI is available but MOV not available. LazyDodo (LazyDodo) added a comment to T62942: Blender crashes when trying to change the path of alambic file. Can repro when i turn on the debug heap on windows (kinda like asan, but different, just crashes things, doesn't tell you what is wrong) seems to be coming out of alembic it self, which is perhaps why a blender build with asan didn't find it? LazyDodo (LazyDodo) raised the priority of T59850: blender 2.8 exports fbx to unity 2018.3. The rendering mode of Material is "Transparent". It depends of the color of the 3D object from Normal to Needs Triage by Developer. LazyDodo (LazyDodo) closed T63253: AVI is available but MOV not available as Archived. Apple removed support, see D2333 for details. LazyDodo (LazyDodo) committed rBe2d5ccf59837: deps_builder : copy llvm headers to lib folder. (authored by LazyDodo (LazyDodo)). LazyDodo (LazyDodo) accepted D4634: Simple fix for fullscreen flickering + hidden windows on Win10 + Some GTX cards. Tested on Win7 with nvidia and mesa - softwaregl. LazyDodo (LazyDodo) added a comment to D4627: Remove Close From Console Window. Just fix the function so it does what you expect it to do, and fix the one call site that was using it wrong. LazyDodo (LazyDodo) added a comment to T62780: Window blink black when Toggle window fullscreen switch back . LazyDodo (LazyDodo) added a comment to T63164: makesdna structure size mismatch on 32 bit..
looks like there's already some infrastructure in makesdna.c for such a thing (look for /* a simple dna padding test */), looks like we just need to enable it and incorporate it into the build process and/or unit tests. LazyDodo (LazyDodo) added a comment to T63130: Hitting Render Button on Workbench Engine crashes Blender 2.8. Hate to sounds like an xkcd caricature , but that's generally the way i kill blender whenever it's hung or otherwise real unhappy with the state of things. urgh there's bugs in the printf generator (had to redo the patch since i already did other work) anyhow pretty sure you got the idea. Can't reproduce, but i fixed a buffer overflow on 32 bit regarding studio lights just now, perhaps that was it, see if tomorrows build is better? LazyDodo (LazyDodo) committed rBa41008964c76: Fix: Buffer overflow in StudioLight (authored by LazyDodo (LazyDodo)). LazyDodo (LazyDodo) assigned T63164: makesdna structure size mismatch on 32 bit. to Campbell Barton (campbellbarton). LazyDodo (LazyDodo) created T63164: makesdna structure size mismatch on 32 bit..
LazyDodo (LazyDodo) added a comment to T63126: Some addons failing to launch (eg HOps/boxcutter). There was an update to blender recently to stronger enforce naming of things in addons, so the author probably just has to make a minor update, if you reproduce the issue with any of the plugins we ship with blender feel free to report those ofcourse, but we have no control over 3rd party plugins and we do not track defects for them on this tracker. LazyDodo (LazyDodo) closed T63126: Some addons failing to launch (eg HOps/boxcutter) as Archived. Thanks for the report, but this add-on is not developed by Blender, please report the bug to the original author. 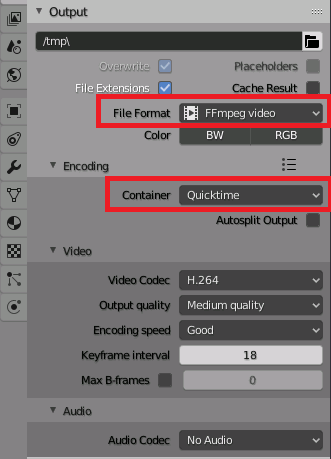 LazyDodo (LazyDodo) added a comment to T63045: Blender DELETES all data on photoshop files upon viewing folder, making it 0kb. @Jacques Lucke (JacquesLucke) i'm not sure what there is for us to triage, the distro build eats files for breakfast, our builds are fine? LazyDodo (LazyDodo) triaged T63057: the software closes as Needs Information from User priority. please run the blender_debug_log.cmd batch file in your blender folder and attach the generated files. LazyDodo (LazyDodo) closed T63053: Blender 2.8 refuses to run on my PC: Device init failed: 0x80070490 as Archived. LazyDodo (LazyDodo) triaged T63053: Blender 2.8 refuses to run on my PC: Device init failed: 0x80070490 as Needs Information from User priority. LazyDodo (LazyDodo) added a comment to T63046: Crashing loading .blend file with missing paint tool slots. @Sebastian Parborg (zeddb) given @Antonio Vazquez (antoniov) stack trace seems to suggest mem issues,try running with ASAN see if that has anything to say about it. LazyDodo (LazyDodo) added a comment to D4602: BROKEN [WIP]: Minimal Viable Product: Proposed Voronoi Texture enhancements. Not sure if this is all of them, but at-least these are the ones i remember fixing. LazyDodo (LazyDodo) added a comment to T62499: Saving on the C: Drive - Ignores Group Policy. It's a feature request and it's honestly just Security theater, even if we implement hiding drives in the file browser like explorer does all we'd be doing is giving admins a false sense of security, nothing is stopping a student from running bpy.ops.save_as_mainfile("c:\someplace\whiii.blend"), manually entering paths in many of our UI elements or stop them from using any of the other file-io API's in python, if you don't want users to write files at a certain location it'll have to be enforced OS/filesystem level, not in the 'uhh we'll just hide in the in applications UI, you feel safer now? well you're not but ok....' level. LazyDodo (LazyDodo) closed T62988: No GPU found in Cycles. as Archived. LazyDodo (LazyDodo) added a comment to T62945: Shortcuts don't appear on tooltips for tool icons..
do they work when you start blender using the factory starup batch file in the blender folder? LazyDodo (LazyDodo) updated the task description for T62982: Blender 2D draw mode shows as corrupted screen. LazyDodo (LazyDodo) added a comment to T62940: Opening a blender file last edited in 2013 causes Blender's fonts to go crazy. LazyDodo (LazyDodo) added a comment to T62887: When searching for fonts, thumbnail dispaly mode will crash Blender. LazyDodo (LazyDodo) added a comment to D4585: Windows move files to recycling bin when deleted in file explorer. I think it's fine to call CoInitializeEx multiple times, the main issue is ensuring we don't call it with different values. I'm not sure there is a good way to automatically ensure it's not called with different values. If someone adds another call to CoInitialize in the future I would hope they read the documentation and then search for any similar calls in the code and verify it's ok.